With industrial development the use of steel pipes has risen up to a commendable level. There are different categories of pipes, some are use for electricity, some are used for sever systems and some are simply used for transportation purposes. When it comes to the pipes used for transportation purpose there are again various categories under it. API 5L specification is given to those steel pipes that are used for transportation systems and carry material like petroleum, petrochemicals, gases, and oils. These pipes can also be used to transport water. Other than this these pipes can be put to use for different purposes too. To buy an API 5L X52 PSL-2 Pipe you must make sure that it has actually passed all the tests and stand true on the specifications and standards set. A steel pipe which is intended for the transportation system must attain Product Specification Level 2 or at least pass the first level. These pipes belong to the X grade with the minimum yielding capacity of 52 in 000's of psi of steel pipes. The manufacturer which you are dealing with must have attained all the national and international industry standards and must be a certified dealer of such pipes. Our company dealing as a manufacturer and supplier of API 5L X52 PSL-2 Pipe inspect them 100 percent visually and process them with the best rust free coating. These pipes can be packed in many different ways. It can be either in plastic boxed or wooden boxes with capped ends and properly wrapped. 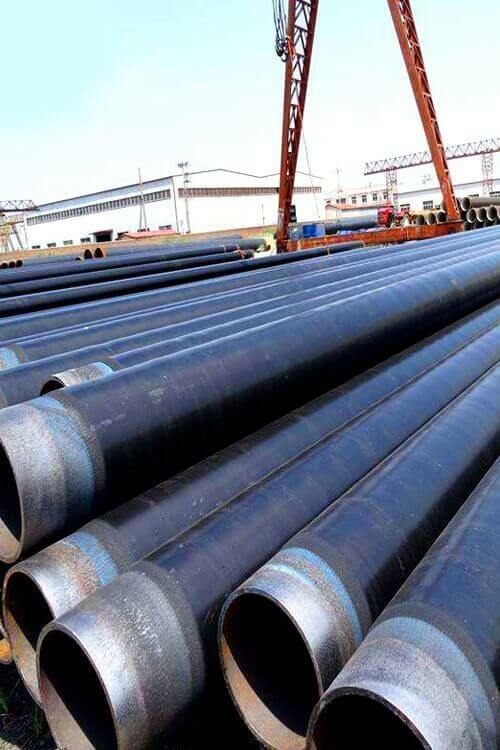 Carbon Steel API 5L Grade X52 PSL-2 Pipes, Threaded End API 5L L360 or X52 PSL2 Seamless Line Pipe and Tube, API 5L X52 PSL 2 Plain End Seamless Line Pipe Exporter, Seamless API 5L X52 PSL-2 Line Pipe, 2FBE/FBE Coated API 5L X52 PSL-2 Steel Seamless Pipe, Standard Size API 5L Gr.X52 PSL 2 CS Pipes Exporter, 3LPE/3LPP/2LPE/2LPP Coating API 5L X52 PSL-2 Pipe Stockist in India.